A very interesting idea, and of course with the way VR is growing, it comes at a very good time. There is a good team that is in charge of ImmVRse as well. Thank you Mofassair. Always feels amazing to receive a full star rating. I'm glad you liked our project! Great team and a giant market. Good luck! The VR industry will be disrupted (or massively created, as up to today, it is still not mainstream). ImmVRse has an edge in creating a product that may provide the growth the industry deserves and wants. Good luck team! 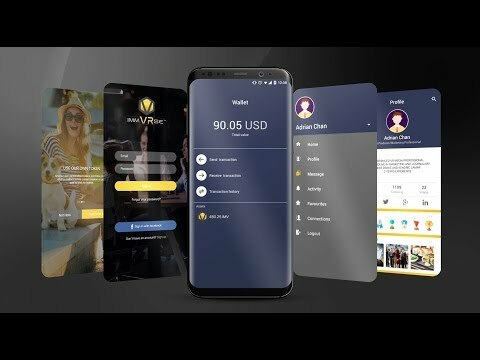 VR is the future video consumer and producer market, ImmVRse has good vision of connecting good VR producers and consumers with blockchain token model. Thank you very much for such a great rating! I might be narrow-minded but this doesn't sound like a strong product to me. Maybe in the future, when VR becomes more popular, it might make sense. I must say it's really a brilliant biz model! It perfectly combine the virtual & reality. Love to see your team successful realize your idea. It looks to me that I already see the falling of traditional UX UI copywriter services providers. With your platform, more UX UI freelancers will join the ecosystem for sure! Thank you Alex. That rating and review means a lot! It gives us reason to push harder and achieve our goals! We are very keen to make the user experience easy, and to be honest, my co-founder is very strict about design flows. We will ensure high quality experience deign before we publish anything to the public! Thank you for the great rating and having faith in our vision! For me as marketing specialist with several years of experience this project is looking really interesting. VR will be the future. Thank you so much for your outstanding rating. ImmVRse team is extremely happy to receive such feedback from a blockchain expert! Thank you for your time. Great to receive your feedback. It will be even better if you could provide us some suggestion to improve the rating! Excellent team, very wide industry experience. Detailed whitepaper and potential for the VR platform to be market leader in few years. Good luck! Thanks a lot. I believe as a lawyer you have reviewed the project from legal perspective and glad to receive an excellent feedback!